Laxmi Engineers commenced operations in 1991. We are manufacturer, supplier and exporter of Cement Plant projects on turn key basis, grinding plants, mini cement plants, hammer mill, roller crusher, jaw crushers and other industrial machines. The company began its modest operations in a small-scale unit in 1991, namely M/s LAXMI ENGINEERS in marudhar industrial area, Jodhpur, the biggest industrial town in Rajasthan. Today, under the aiges of its guide and mentor, Mr.Madan Lal Sharma- a veteran technocrat, Laxmi Engineers is renowned in its sphere of operations. Mr. Sharma has support of his son, Mr.Vijay Sharma, who look after the technical aspects and commercial/marketing affairs of the organization. The company prides itself on developing products, which exceed market expectations. Laxmi Engineers has been the recipient of many national and international export awards, acknowledging the superior standard and world acceptance of both the organisation and the products. The company has adequate experience in manufacturing cement plant projects since last 25 years and has supplied and commissioned more than 80 cement projects in different capacities in India, Bangladesh, Kuwait, Nigeria, Sri Lanka, Ethiopia and Mexico. Recently, we executed a 300 tpd capacity Cement plant project in Ethiopia. 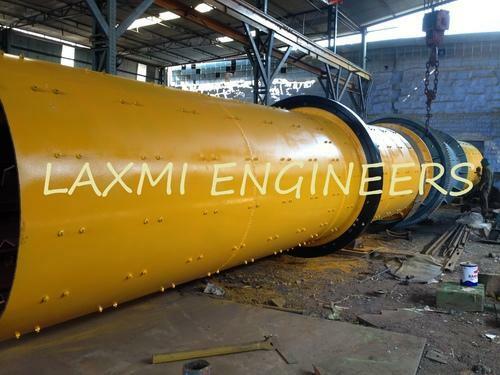 Since 1991, Laxmi Engineers, has working in manufacturing Mini Cement Plant and Clinker Grinding plant project. The glaring feature of Laxmi Engineers is its Laxmi V.S.K. (Vertical Shaft Kiln) technology developed by Mr. M.L.Sharma. G- 588- B, 2nd Phase, M. I. A.